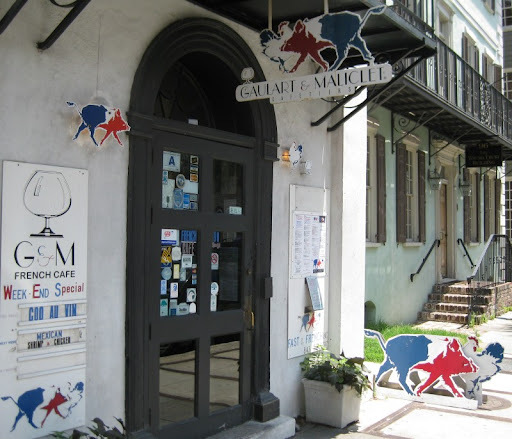 Walking around Charleston one afternoon, we stumbled across an the interesting storefront of Gaulart & Maliclet French Cafe. A little research revealed that it is a well-loved place, known to the locals as "Fast & French". We stopped in the next day for lunch. It is all counter seating, with a main counter area in the front looking into the kitchen, and an additional couple of U-shaped counters in the back area. We were among the first lunch patrons to arrive around 11:30, but by noon the place was packed. The lunch menu is predominantly soup and salad. 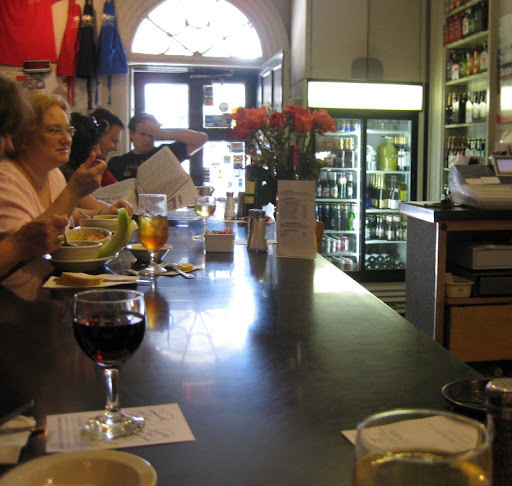 All lunch specials come with a free beverage, which includes a glass of house red or white wine. Nice! 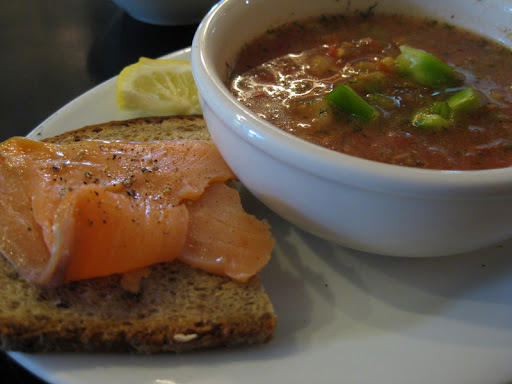 I had the "O'Salmon" sandwich - smoked salmon and goat cheese on rye. The salmon was on one piece of bread,and the goat cheese on the other, and they were quite good eaten individually. With it, I had a very nice bowl of gazpacho. 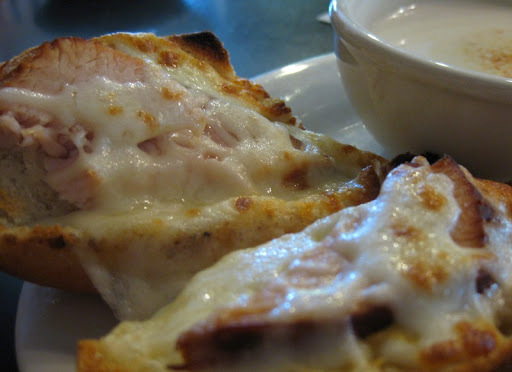 Sherry had the Croq' Baguette with smoked turkey and a bowl of vichyssoise. Although I was familiar with vichyssoise (a chilled leek and potato soup), neither of us had actually had it before. It was a very enjoyable combination of flavors that we both look forward to having again. Service was fast and friendly, and the whole place had a very nice feel about it. Great little spot. Gaulart & Maliclet "Fast & French"